Is the Fed the Most Powerful Institution in the World? What is the Federal Reserve and who owns it? One could say it’s very mysterious. No doubt it’s a very powerful institution and is not, as many people think, a government entity – not a part of the executive or legislative. The politicians are not in charge here. So when the chair Janet Yellen announces progress with interest rates, it’s not Government policy as such but an independent privately owned organisation pulling strings to try and keep the show on the road. The Fed is actually a huge clearing house and lender of last resort. It’s the Governments bank and the banker’s bank. It’s where they borrow their cash so they can spend up big. The Fed was created in 1913 by the Federal Reserve Act. The Fed aims to keep the private banking system afloat and has a monopoly on creating the national money supply. 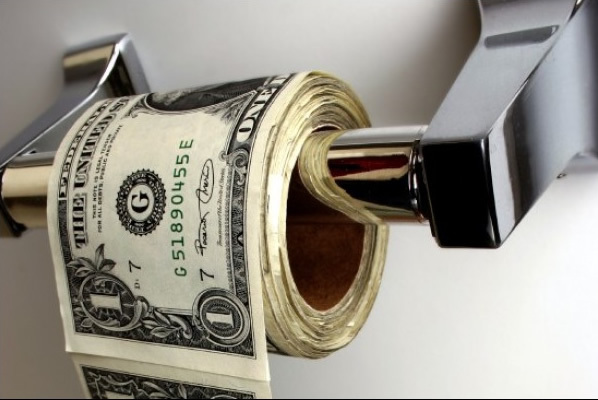 Every paper dollar in circulation is created privately as a debt to the Federal Reserve or the banking system it heads. “The Fed is composed of a Board of Governors appointed by the President and twelve regional Reserve Governors, located in major cities around the US and numerous privately owned member banks. The US government receives all the profits made by the Fed apart from a 6% dividend paid to member’s banks for the capital they have invested. Most of the profit is given back to the government every year so it is hard to know exactly who owns it. It is effectively ‘independent within government’. A unique public/private hybrid. It is true that the Fed is owned by private banks. None of the Federal Reserve stock is owned by the US government. There are more than 8000 banks which are members of the system and these member banks must ‘invest’ 3% of their capital as stock in the Reserve. They cannot trade that stock or borrow money against it but they do receive the dividend every year. The big decisions though are made by the Federal market Open Committee, which has a dozen voting members, only five of whom come from the banks. The remaining seven, a voting majority, are the Fed’s Board of Governors who, as mentioned, are appointed by the president”.